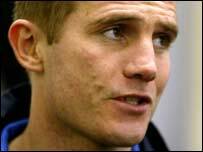 Managerless Charlton have been denied permission to speak to Colchester boss Phil Parkinson. Parkinson, who guided the U's to promotion from League One this season, was also wanted by Championship sides Derby County and Ipswich Town. But the highly-rated 38-year-old has been told he is too valuable. A club statement read: "Whilst recognising that Mr Parkinson must have ambition for the future, it is vital we retain him at this critical stage." The statement continued: The Us have refused approaches from Premiership team Charlton Athletic, as well as Championship sides Ipswich Town and Derby County - a position which all three clubs have accepted. "Mr Parkinson has been kept fully aware of all developments during this past week."